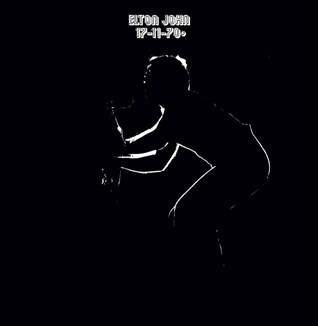 NAMED as the first Record Store Day Legend Sir Elton John will release one of the most sought after bootlegs 17-11-70. Recorded at A&R studios in New York in front of 125 people the performance was only ever intended for broadcast however, the bootleg sales were so great that it had to be rush-released on DJM Records in April 1971. Hailed as a fascinating artefact, the album offers a pure stripped back version of the stage King. Now the album is set to be released again, exclusively for Record Store Day - 17-11-70+. Including six previously unheard songs from the performance such as; Indian Sunset, Amoreena and My Father's Gun - this is the only complete edition of the show. Sir Elton said: "Happy 10th birthday to Record Store Day. "I love record stores, I can go to the record store in Vegas and spend 3 hours in there. "Just the smell of it, the looking at it, the wonder of it, the memories. "I love vinyl so much; the tactile nature, the ritual of it, looking at the sleeve - especially with the old albums and the liner notes - who played on them, the process of putting it on, the needle going on and the sound coming out. "And it DOES sound better, I know it does. "It’s just the wonder of having vinyl."